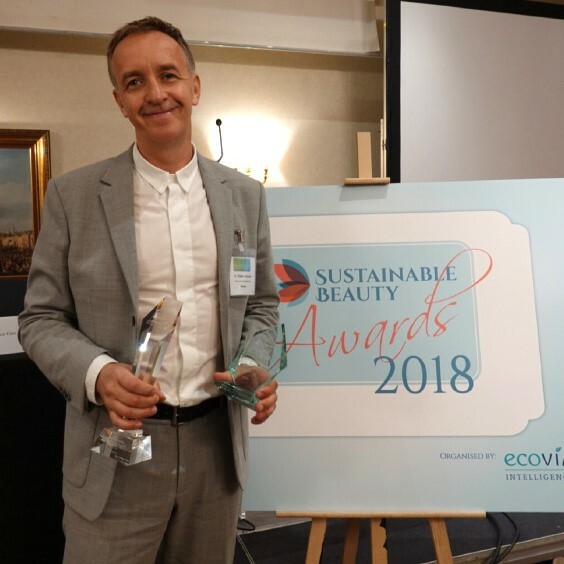 Weleda are thrilled to announce that the company has won two prestigious new Sustainable Beauty Awards! The awards ceremony took place at this year’s Sustainable Cosmetics Summit in Paris. These prestigious international awards give recognition to companies that are pushing the boundaries of sustainability in the cosmetics industry. Weleda gained an impressive second place in the Sustainability Pioneer category, with the jury acknowledging Weleda’s commitment in the field of ethical and ecological resource extraction. Weleda has become the first beauty company in the world to ensure that all of its 1200 supply chains for raw materials meet the standard of the Union For Ethical BioTrade. Weleda’s natural and organic cosmetics will bear the new UEBT certification seal from 2019 onwards. The shortlist for the Pioneer award included Brazilian beauty brand Boticario, Asian haircare brand O’Right International, and Neal’s Yard Remedies. Even more exciting was Weleda’s win in the Sustainability Leadership category, for the third time after earlier triumphs in 2013 and 2016! The jury was impressed by Weleda’s extensive commitment to corporate social responsibility. Since the company was founded, almost 100 years ago, Weleda’s business model has taken into consideration more than just economics, and more than just the environment. Weleda has also focused on treating all its trading partners fairly. The shortlist for the Leadership award included Greek cosmetics brand Apivita, fragrance company Symrise, and Neal’s Yard Remedies. After nearly a century Weleda is clearly still leading the way when it comes to sustainability in the beauty industry!